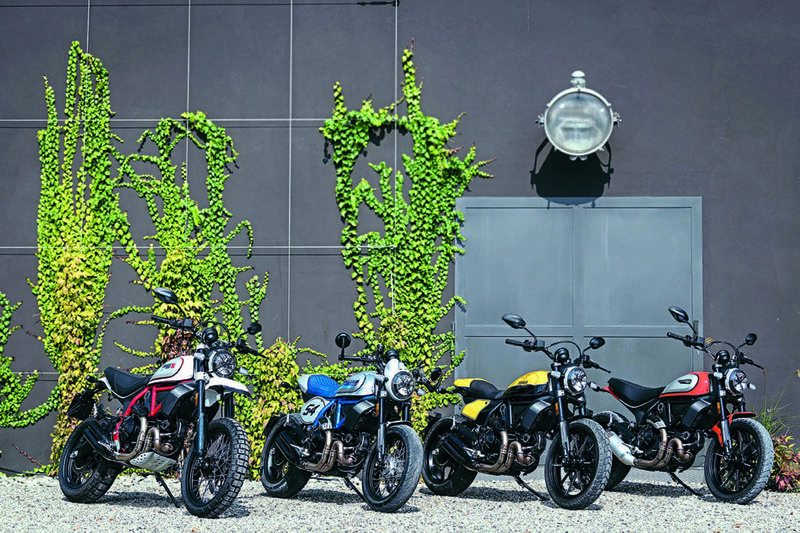 In our December issue we feature the test ride of the new Ducati Scrambler Icon, but while we were busy riding it, Ducati announced three other updated Scrambler models; the Full Throttle, Café Racer and Desert Sled. The updates to the range aren’t drastic, but they add to the package. Lighting has been enhanced with new LED DRL (Daytime Running Light) headlight and new auto-off LED indicators. Switchgear is more ergonomic, working with the LCD menu which now shows selected gear and fuel level info. The Ducati Multimedia System, lets riders listen to their music playlists, answer incoming calls or chat with the passenger on the intercom. Inclusion of Bosch Cornering ABS makes riding more carefree, and the new softer-feel hydraulic clutch control with the adjustable lever makes riding less of a workout. The Full Throttle, with its two-tone black-yellow white-striped tank, all-new rear end with dedicated seat and white-rimmed yellow number holders, is very much en vogue as the flat tracker theme spreads into street bikes. The Café Racer gets a dashing new livery: Silver Ice Matt graphics with blue frame – from the legendary Ducati 125GP Desmo. There are also new 17in spoked wheels, aluminium bar-end mirrors, and a modern radial front brake pump. 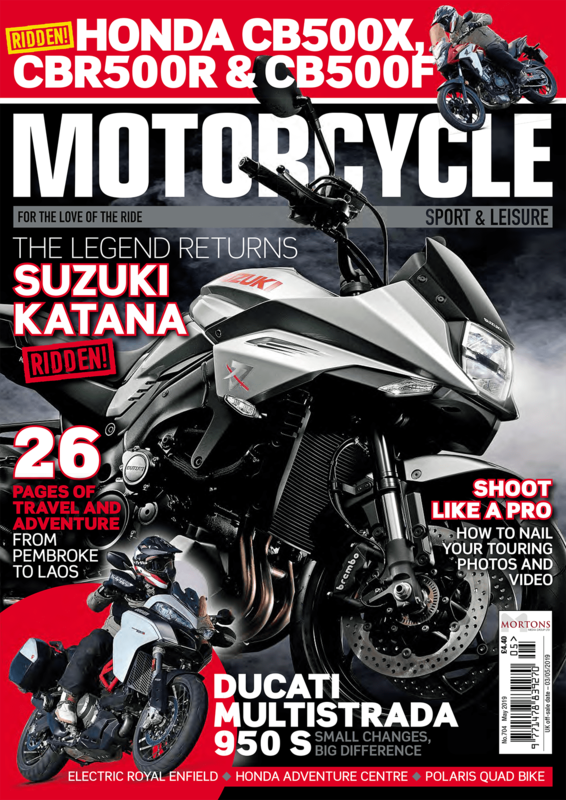 The Desert Sled has a new seat with colour-coordinated stitching and spoked wheels with black rims. It also features an off-road riding mode that allows ABS disengagement for down-in-the-dirt fun. Pricing and availability hasn’t been confirmed yet.